Living on the beautiful Gulf Coast comes with many benefits. We have quick access to the Gulf of Mexico, sunshine that helps fuel our body with Vitamin D, calming sounds that provide peace and, of course, fresh air. The only negative factor of living near the Gulf is the threat of a tropical storm or hurricane. Large amounts of rain and heavy winds accompany these storms, leaving behind a lot of damage. While hurricanes and tropical storms aren’t preventable, FlynnBuilt customers in Baldwin County have a greater sense of security in their Gold Fortified hurricane-proof homes. The home of your dreams should always be built to last a lifetime. At FlynnBuilt, we understand that a home is your largest investment, and our goal is building one that provides comfort and security when Mother Nature strikes. Your safety and the safety of those who inhabit the home is our number one concern. For this reason, we build hurricane-proof homes that are Gold Fortified and ready to withstand high winds and heavy rains that accompany hurricanes. Fortified home standards are available to our customers in Alabama. When it comes to building a hurricane-proof home, there are three different fortification levels: bronze, silver and gold. FlynnBuilt homes in Baldwin County are Gold Fortified and more resistant to damage than a bronze or silver home. We truly want to offer our customers the best in every aspect of the home building process, and offering Gold Fortified hurricane-proof homes is another way in which we fulfill that goal. The FORTIFIED Home™ Hurricane Resistance Gold Designation is valid for a period of five years. Owning a Gold Fortified home gives you peace of mind in knowing that the property will withstand disaster. Fortified building standards exceed the vast majority of building codes by offering improved performance against natural hazards and by reducing the risk of property losses. The fortification program starts by focusing on the roof of a home because it is the most vulnerable part of the entire structure. As the fortification level rises, it includes more protection. Gold Fortified homes have additional protection in areas such as windows, doors, floors, walls and foundation. Each Gold Fortified home is greatly protected with the entire structure acting as one system. In a rural area in the middle of the country that doesn’t experience tropical storms or hurricanes, owning a Gold Fortified hurricane-proof home seems unnecessary. However, for the Alabama Gulf Coast residents, the need for a home built to withstand strong winds and heavy rains is essential. Fortified homes meet a rigorous standard and provide strength against storm damage through their upgrades. 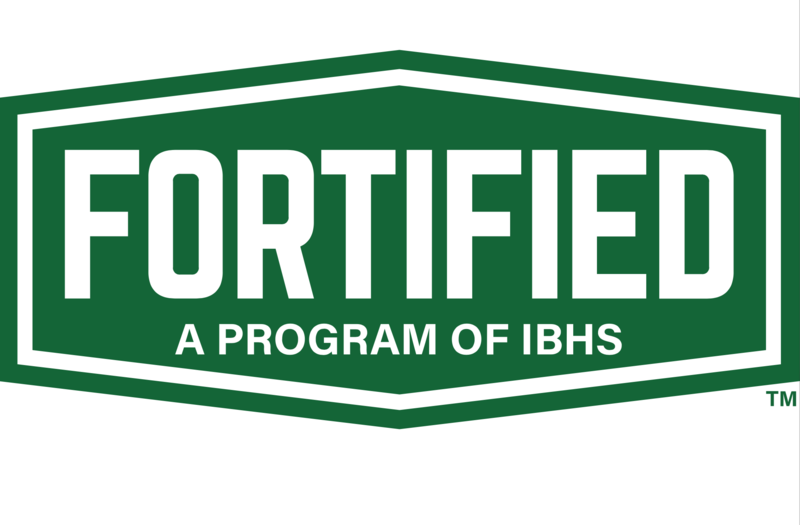 Each fortification standard helps reduce the amount of weather-related damage a home endures. FlynnBuilt homes are Gold Fortified and built to withstand the devastating power of tropical storms and hurricanes. The Alabama legislature has required that insurers offer discounts to homeowners whose homes meet Fortified standards. In fact, a study by the Alabama Center for Insurance Information and Research has concluded that it is cost-effective to build Fortified homes and that Fortified homes on two coastal Alabama counties earned nearly a seven percent premium in resale value over homes that do not meet the standard. Our standards are other builders’ upgrades. This includes every aspect of a FlynnBuilt home, ranging from the Gold Fortified hurricane-proof structure to the energy-efficient appliances included inside. For those looking to remodel or add an addition to their current home in Baldwin County, FlynnBuilt strengthens your property against storms by using our fortified construction standards. In addition to providing a high level of protection, Gold Fortified homeowners can often receive insurance discounts and tax credits. Dealing with a hurricane is stressful, but owning a Gold Fortified home eases the stress and provides peace of mind when disaster heads your way. Get started on your Gold Fortified hurricane-proof home by contacting the expert builders at FlynnBuilt!